General oblique aerial view centred on the industrial estates, taken from the SE. 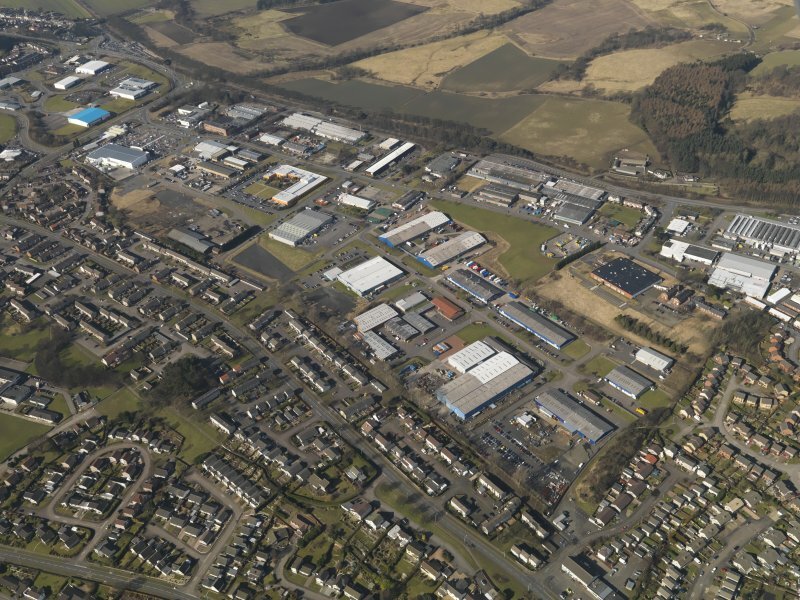 General oblique aerial view centred on the industrial estates, taken from the E.
Donibristle aerodrome was developed from September 1917 to cater for the expansion of naval flying in southern Scotland. It lay close to the naval base at Rosyth, on an emergency landing ground previously established by No. 77 Home Defence Squadron (although it was never used by the squadron). The station was designed to maintain the aeroplanes of the fleet – both land-planes and seaplanes – a growing commitment after it was decided to equip all light and battle cruisers with onboard aircraft. The base was to be the principal repair depot for fleet aircraft, the store for reserve aircraft and a landing ground for aeroplanes coming in from their ships. At the time of the 1918 RAF survey of aerodromes, the main station covered an area of 53 hectares (measuring 1005m by 550m), with its technical buildings in its north-west corner and the accommodation area in the north-east. The technical area included four aeroplane sheds measuring 61m by 30m and an erecting shed and a stores shed of the same size; there was a further, smaller, stores shed, as well as a range of workshops and ammunition stores. The establishment of the aerodrome had not been finalised at the time of the 1918 survey, but extensive accommodation for men and women was under construction. The main site was linked to the shore by a railway line 2.6km long, connected at its NE end to the main railway line that ran along the northern boundary of the aerodrome. The route of the line was mapped on the 1926-7 edition of the OS 25-inch map of the area. At its SW end the railway ran out onto a pier for the seaplanes, which survives. The railway was used to transport seaplanes up to the main part of the aerodrome. There were two store sheds and a bomb store near the pier. Donibristle was one of only two Scottish aerodromes that continued in active military use after the First World War and then through the Second World War. Since its closure in 1959 most of the main part of the aerodrome has been occupied by Donibristle Industrial Estate, but about 16 buildings of the First World War accommodation complex survive as commercial premises at the south-east corner of the estate. Second World War buildings also survive. Opened in 1917 as a landing ground, and handed over to the RNAS in August of that year it was reduced to Care and Maintainance in 1921, re-opening in 1925 as a shore base for disembarked naval aircraft. After closure in the 1950s the site has been built on by an industrial and housing estates. No hangars survive, but some barrack blocks are still in use as offices, and some stretches of runway survive with the dotted white centre line markings. In the former red-brick officers mess is a fine coloured dado cartoon mural, depicting aircrew and officers as egyptians undertaking airfield and administative tasks. 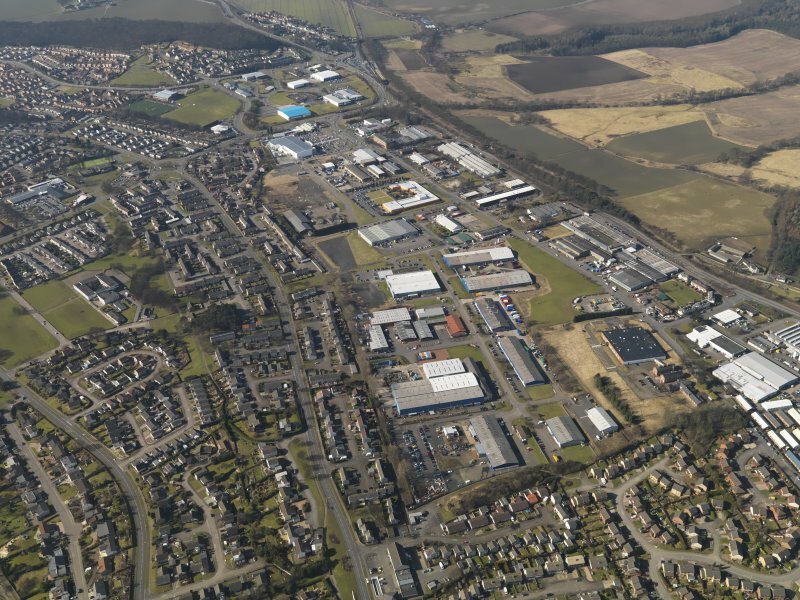 AOC Archaeology Group was commissioned by their client Springfield Properties PLC to undertake an archaeological evaluation on a proposed development of a brownfield site set within the grounds of the former Donibristle Airfield, Dalgety Bay, Fife (NGR: NT 1610 8427). 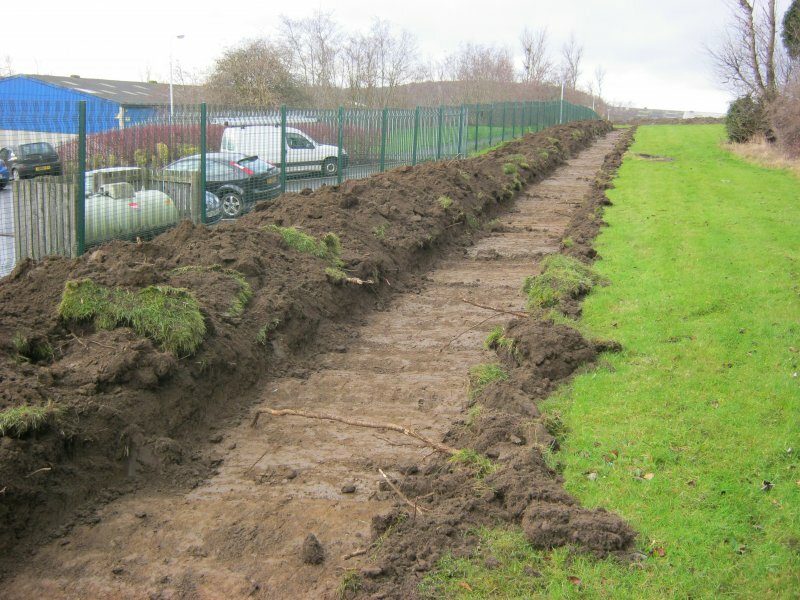 Works consisted of an archaeological evaluation of eight trenches totalling 505 linear metres. The evaluation revealed no significant archaeological remains. 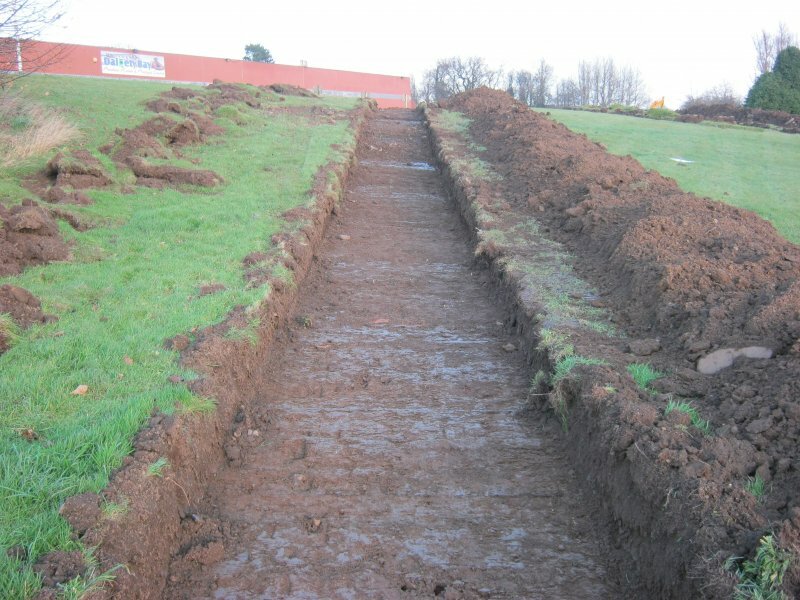 It was apparent that the area available for archaeological evaluation had been heavily truncated by recent landscaping.